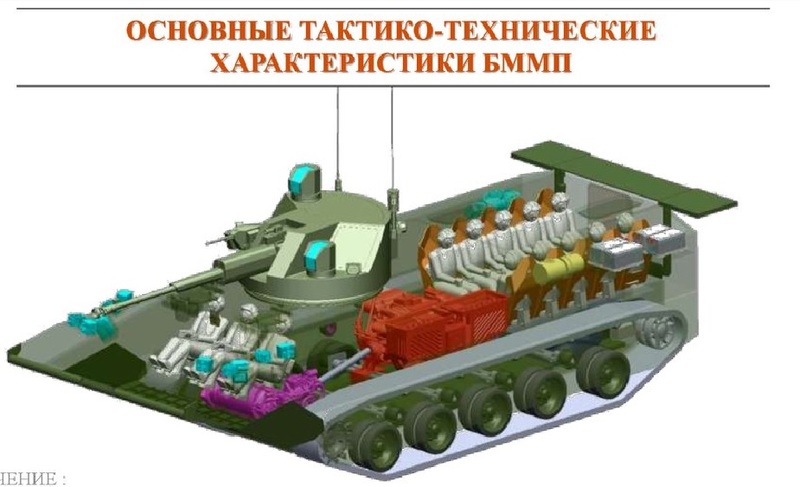 "The Russian Defense Company Uralvagonzavod, manufacturer of main battle tanks has developed a new concept of tracked amphibious armoured vehicle, called BMMP, which can be used by naval infantry units. The development of the BMMP will be lead by the Russian Company OmskTransMash, a subsidiary of UralVagonZavod…." They guy sitting in the middle at the front of the vehicle… is the commander?…. That leaves the right seat for the commander.